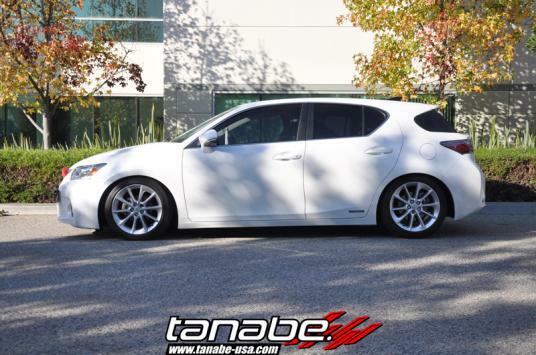 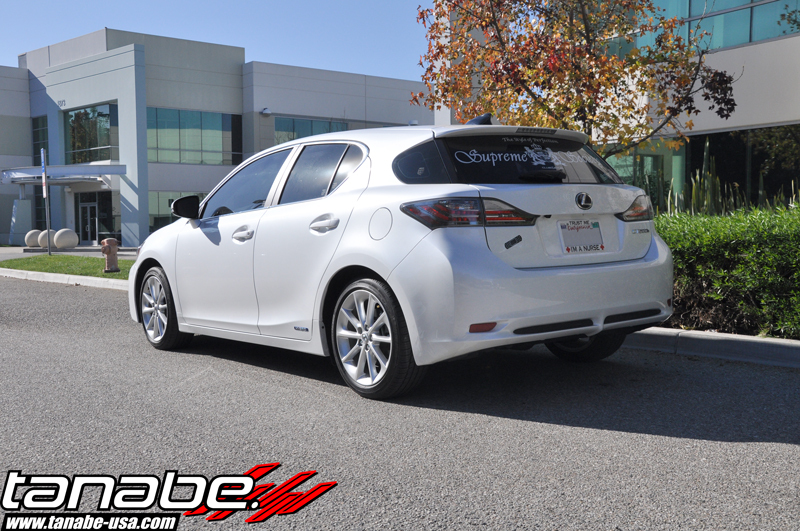 We tested out some Sustec Pro S-OC coilovers on the Ct200h, take a look! 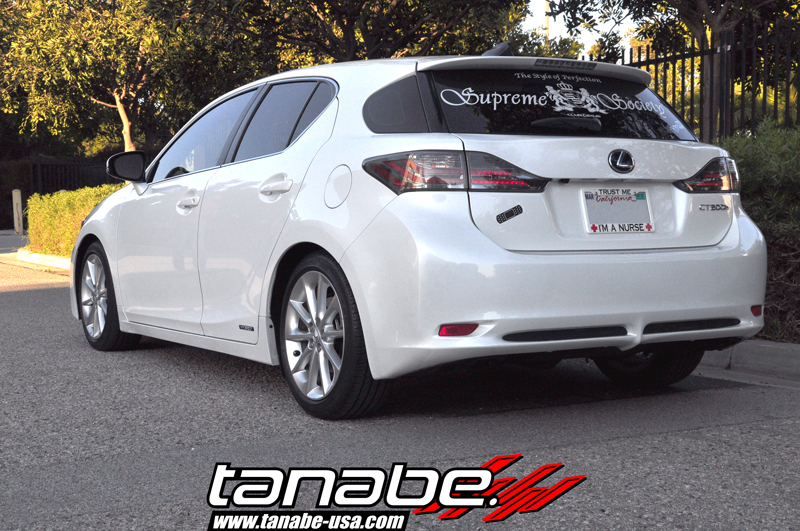 And now, here's the lowest setting! 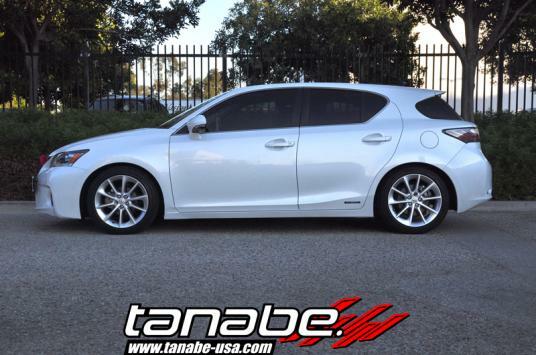 Here is the CT200h with the NF210 springs installed. CT200H exhaust ... mocking and test fitting. 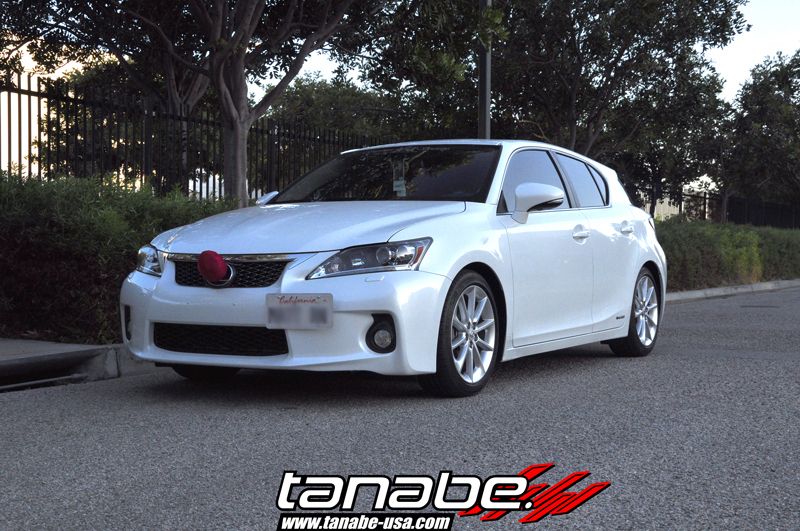 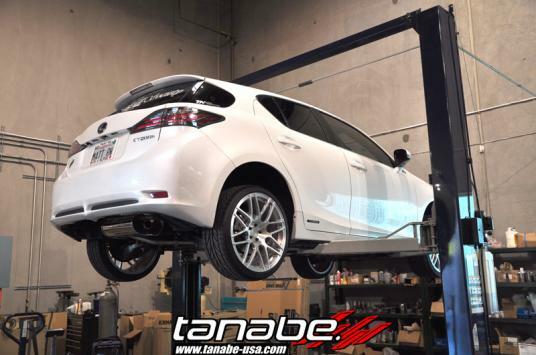 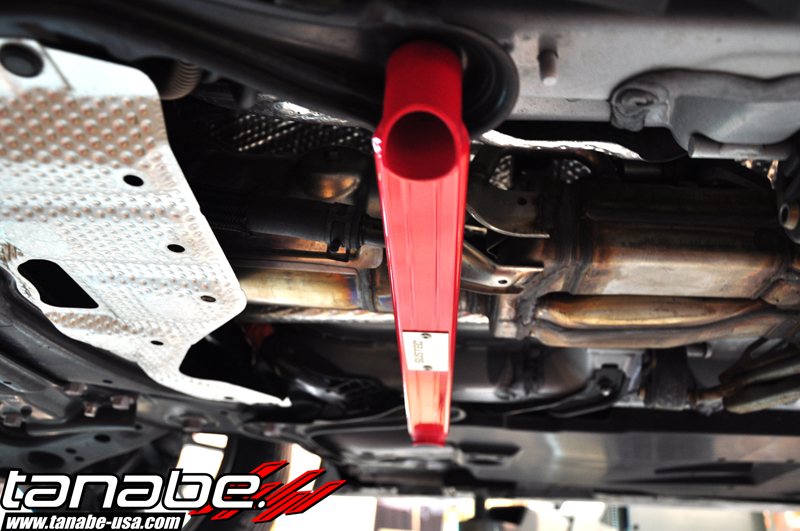 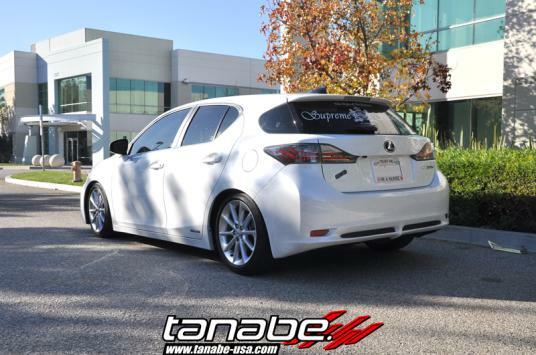 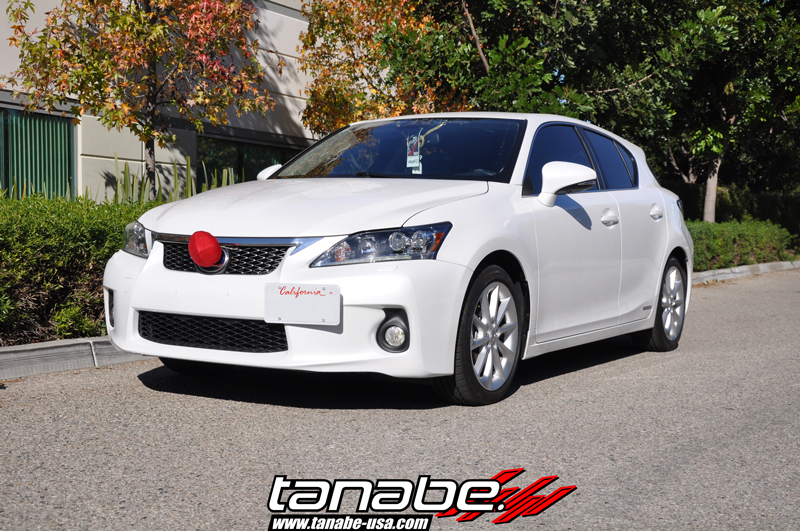 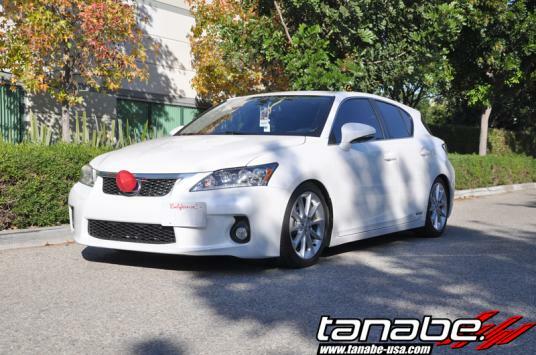 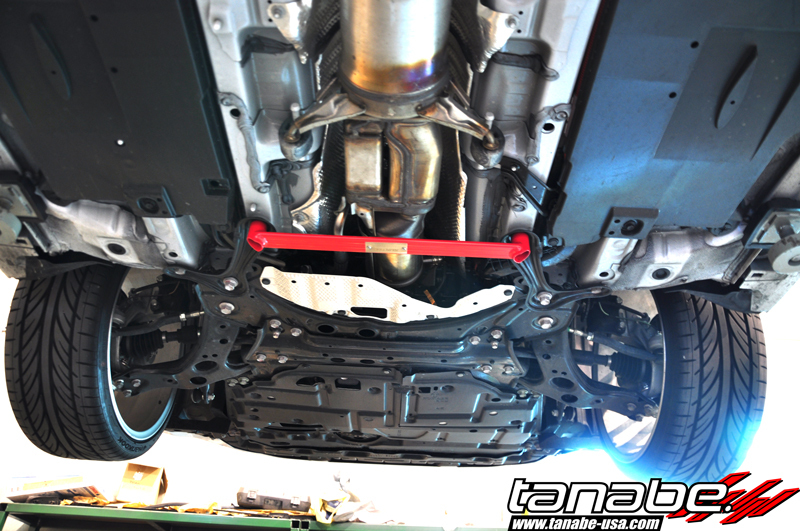 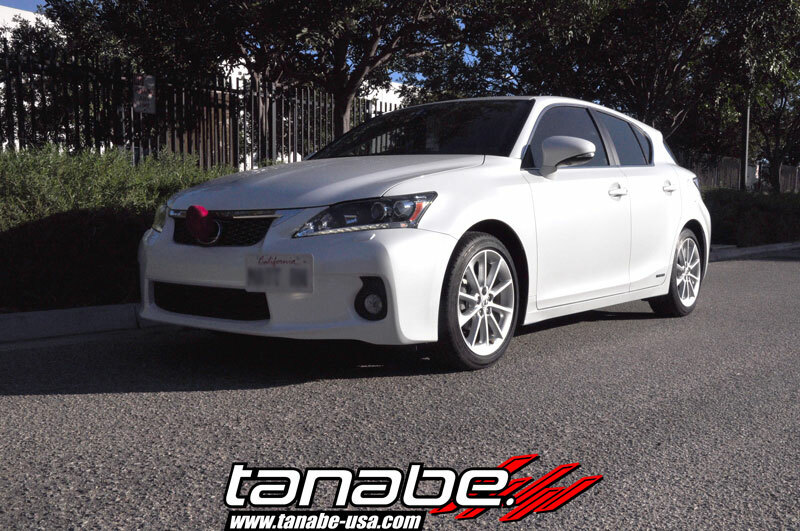 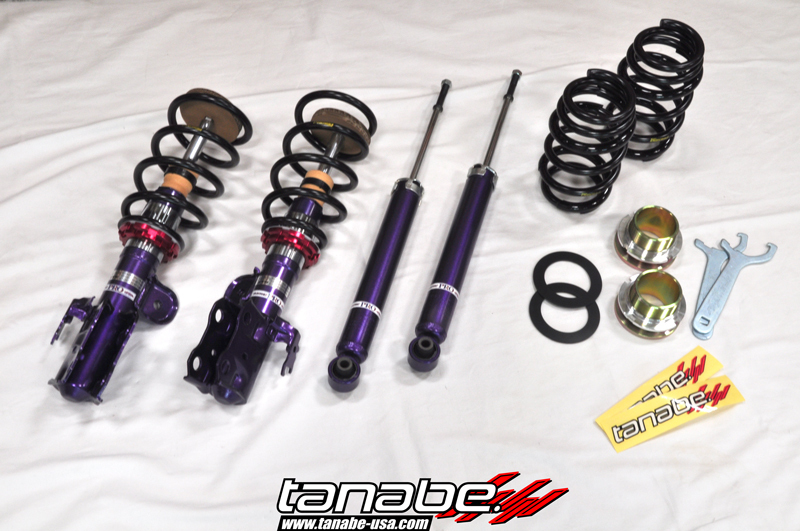 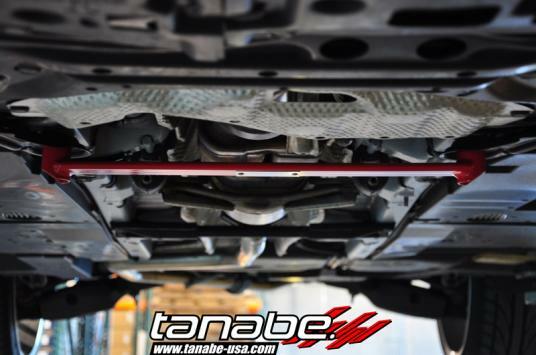 Here at tanabe we make sure our products fits correctly... We also make sure we have the greatest fitment, looks, and sound. 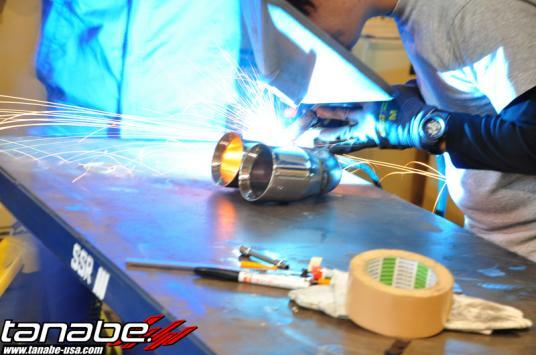 Here they create and test an exhaust for the Lexus CT200H. 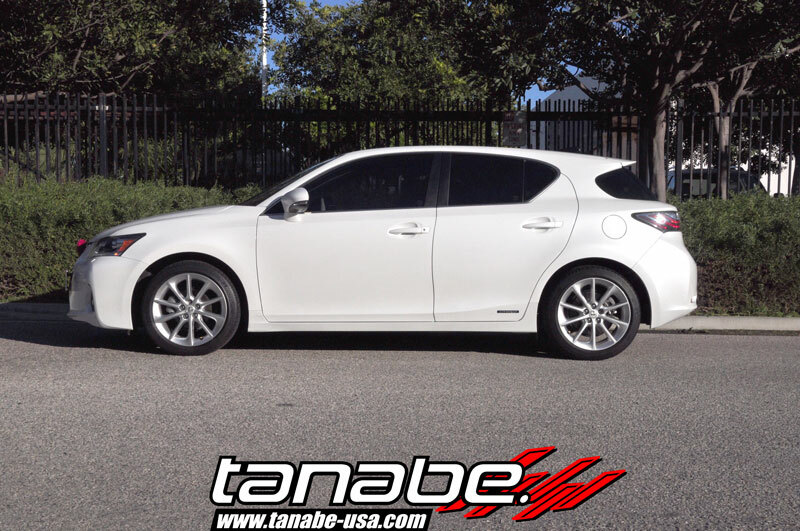 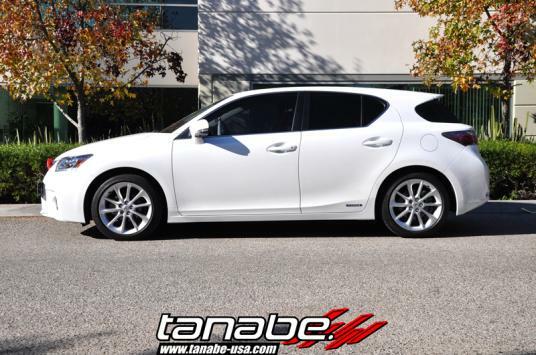 Day 1 of our R&D we started with the Lexus CT200h ... and here are the parts that we have for it. We've also test fitted an underbrace! 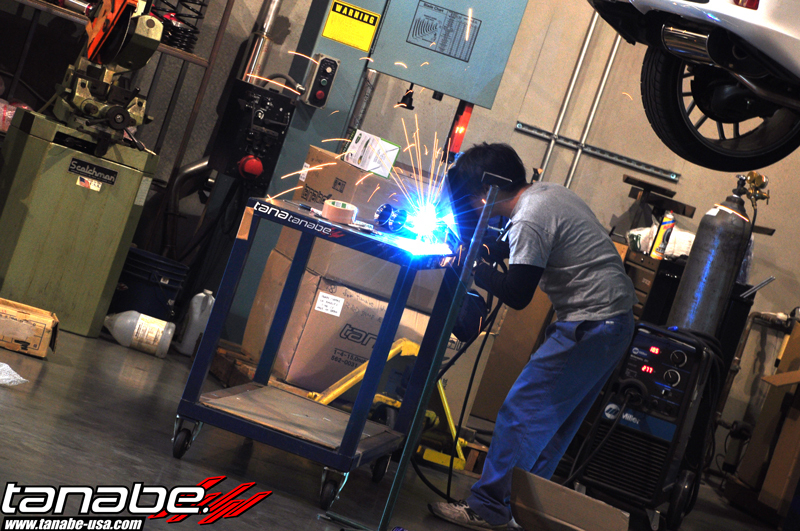 Next, we mock up an exhaust and we do a dyno run! 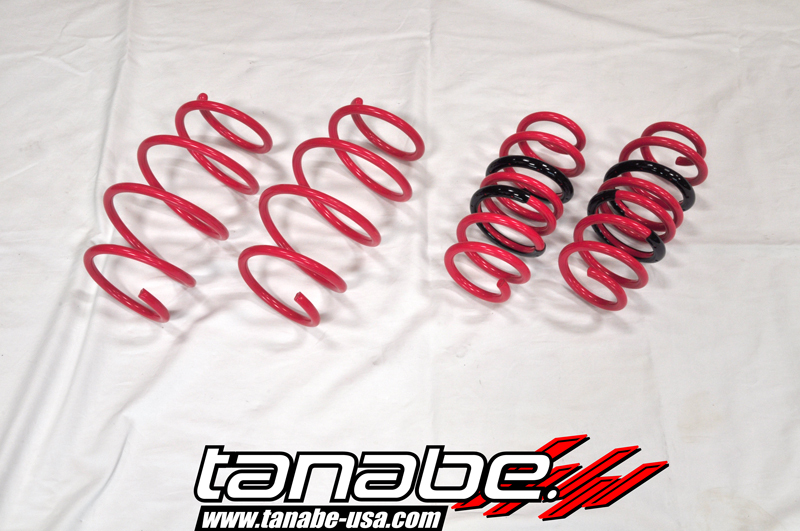 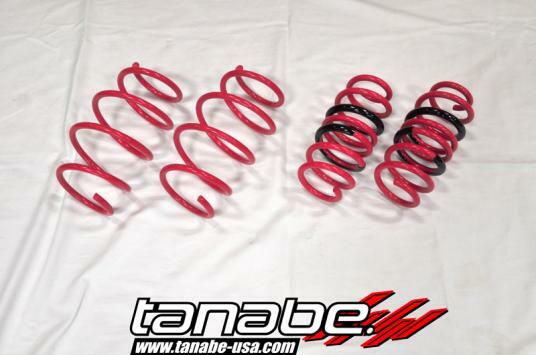 Copyright © 2002-2009 Tanabe USA Inc. All content, including any and all copy (text), images, design layout, etc. 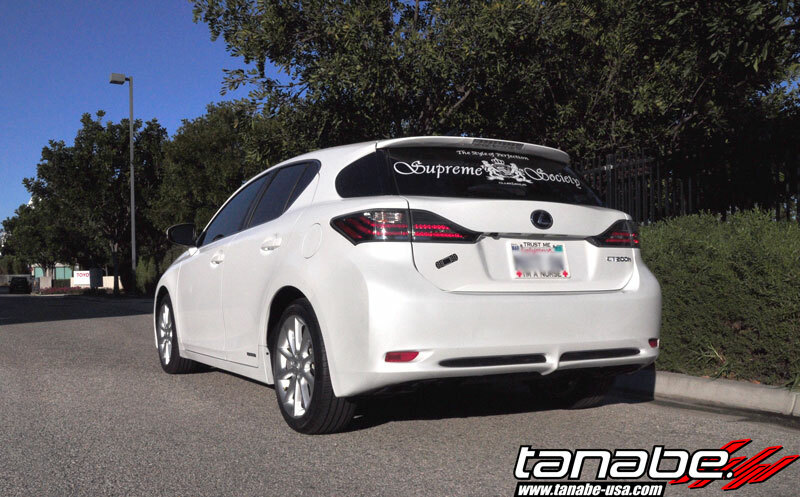 on this website may not be used or copied without authorization. Prices subject to change without notice.